What Are da Vinci™ Porcelain Veneers? da Vinci Veneers™ are the ultimate in porcelain veneers - extremely thin layers of ceramic material bonded to the front sections of your teeth. The process to create a beautiful, natural looking smile makeover can be done with minimal discomfort and completed in less than two weeks. 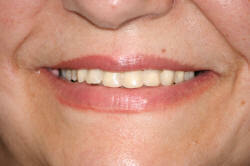 da Vinci™ porcelain veneers can replace stained or discolored teeth as well as small gaps or crooked teeth. 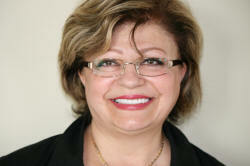 da Vinci Studios and their porcelain veneers have been featured on the TV hit show "Extreme Makeover". da Vinci Studios has led innovation in the cosmetic dental industry for over 25 years. It started with a commitment to provide the highest quality fit, function and aesthetics its customers and their patients each day, on every case. The art of creating your smile is accomplished with the finest technicians and materials available and a never ending pursuit for excellence. Each member of the da Vinci family embodies a quality driven love of the creative process and an extreme devotion to the art and science of dentistry. How Do I Change My Smile? 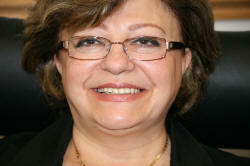 da Vinci Veneers™ require only two or three appointments in our Salem cosmetic dental office. Your appointments will include: diagnosis and treatment planning, preparation, and bonding. The preparation of your teeth takes about two hours. 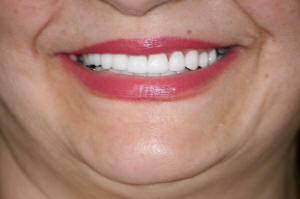 Your teeth are lightly buffed to create room for your new porcelain veneers by da Vinci. An impression of your teeth is taken by Dr. Affara and sent to da Vinci Studios where experienced ceramists can create your custom porcelain veneers. A final bonding appointment is required with Dr. Affara which takes one to two hours. Your da Vinci Veneers™ are inspected for their fit, function and aesthetic quality and then your new smile is cemented into place. Dr. Affara has found that da Vinci Veneers™ are better than other types of veneers when it comes to achieving beautiful, natural appearance. Please contact our Salem, MA cosmetic dental office by calling (978) 745-9550 to schedule a consultation with Dr. Nicholas Affara for da Vinci Veneers™ . Dr. Nicholas Affara is a highly regarded Salem Dentist who has years of experience helping patients throughout the area, including those in Salem & Peabody with their family & cosmetic dentistry needs. In addition to providing teeth whitening, dental implants, crowns, root canal therapy & periodontal treatments, he is also a frequently sought after da vinci Veneers specialist.